3D printed pancakes, liquid nitrogen cereal and electric Play-Doh. 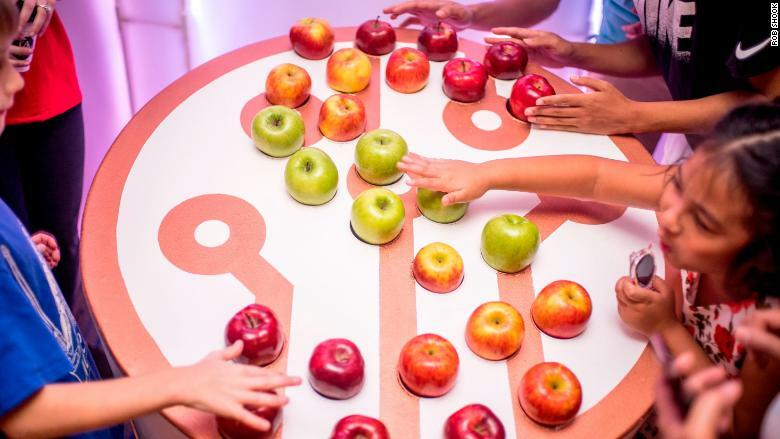 These are some of the activities at Sue's Tech Kitchen, a STEM-inspired pop-up exhibit run by Randi Zuckerberg. The concept hopes to get kids excited about science and tech. Zuckerberg, who is the founder and CEO of Zuckerberg Media, has created 25 experiences inside the space. The traveling exhibit kicked off in Chattanooga, Tennessee earlier this year and recently opened its second location at Cornell Tech's campus in New York City. It will be open through January 1. 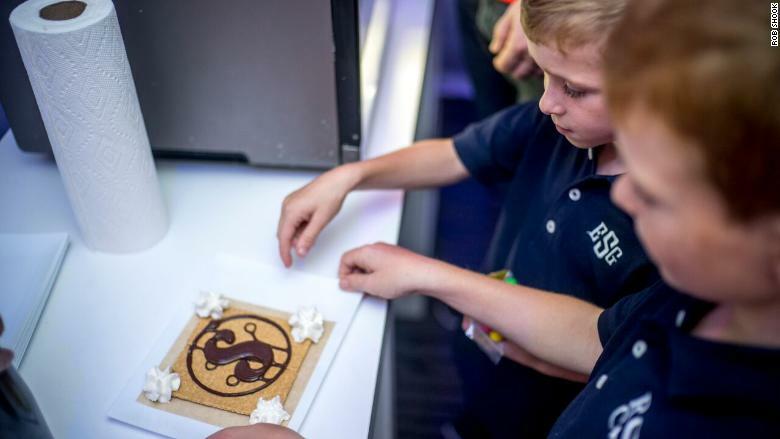 Kids can learn how to code using robots, print 3D versions of s'mores and pancakes, eat treats made with liquid nitrogen, and make electronic dough buzz and light up. The exhibit also offers VR experiences by the NBA, allowing kids to see 360-degree basketball games and behind the scenes footage of teams and players. There's also a physical "driverless car" concept that can be navigated through a maze of obstacles on a big game board. "We have a ton of stations that introduce children and families to tech -- a lot of them without screen time," Zuckerberg told CNN Tech's Laurie Segall. The concept for Sue's Tech Kitchen started as a cookbook, but Zuckerberg wanted to create a hands-on experience to make tech more approachable for families. "I think a lot of parents out there are really overwhelmed by tech," she said. "I really hope people come into Sue's Tech Kitchen and see that there are thousands of ways to introduce your family to tech that don't involve screens." One experience teaches children about electrical capacitance using apples. This is the latest effort from Zuckerberg to get young girls interested in STEM, inspired by the frustration she felt as "the only woman in the room" while working in Silicon Valley. "I've also done a lot of research that shows that it's really around third and fourth grade that we start to lose girls in tech," she said. "[With] everything that I do, I have in the back of my mind that third and fourth grade girl. What can I do for her that's going to just spark that delight around tech and science?" In the future, Zuckerberg would like to create permanent locations for the concept, such as a sit-down restaurant. Her vision: families could sit at connected tables and order 3D-printed food. Sue's Tech Kitchen will come to 10 cities around the U.S. in 2018. Admission is $5 per person. CNN Tech's Laurie Segall contributed to this report.